I am part of the Teal Tuesdays group on Facebook but if truth be told I always forget to do the challenges. 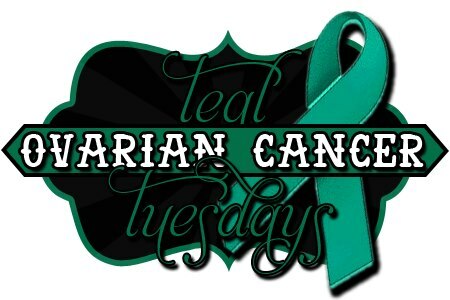 However when the wonderful Missy who is in charge over there told everyone that the next theme would be in conjunction with Ovarian Cancer Awareness month as their emblem is a teal ribbon I knew I had to do something. My two teal polishes were Teal of Fortune by Wet N' Wild and Milani FX in Teal. I decided to try and layer and skittle them to create a fun teal look! Obviously the plain teal nails are Teal of Fortune a teal shimmer polish packed with micro tealy silver shimmer. I only needed two coats to completely cover my nail. However I did double up on basecoat just in case it stained! My middle nail is Milani Teal over W7 Black. Milani Teal is interesting as really only the micro glitter is teal. The hex's are a mixture of silver, blue and green. I guess those are the components that make up teal so I still count it as a teal polish (shhh!). Over the black the micro teal glitter really pops and it makes the nail look very cosmic. I could easily have worn this layering combination as a full manicure. The white nail is two coats of Essie Marshmellow then a layer of Teal glitter and then another layer of Marshmellow to create a jelly sandwich effect. This creates a very similar effect to Dollish Polish Expecto Patronum just in case you have been trying to recreate that look. Not only am I wearing teal on my tips but on my toes too (although you don't get to see those). You can check out the Teal Toes facebook page here. Check out the Ovarian Cancer Research Fund for more information and if you can, please donate. Many women are affected by this terrible illness and the awareness and funds we can raise the better. Very pretty colors and OC is such a worthy subject to get the word out about it. beautiful colors and a wonderful subject to talk about! !